Over the weekend, a member of the royal family gave American anglophiles something to talk about — another royal wedding. Princess Eugenie, youngest daughter of Queen Elizabeth’s third child Prince Andrew, wed Jack Brooksbank on Oct. 12 at St. George’s Chapel at Windsor Castle — only a few months after the May wedding of Prince Harry and Meghan Markle at the same venue. 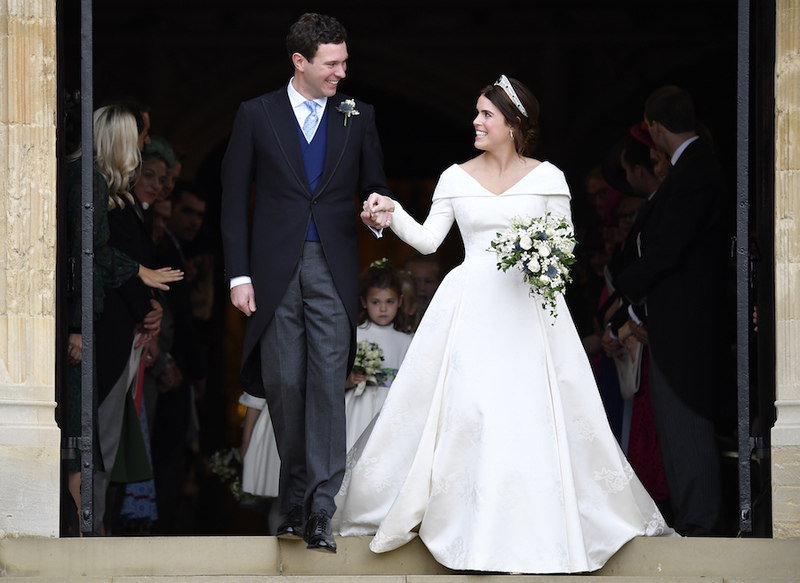 Princess Eugenie opted for a Peter Pilotto gown designed by brand co-founders Peter Pilotto and Christopher De Vos. The design was simple and elegant, following suit with Markle and Kate Middleton’s dresses, and featured a neckline draped over the bride’s shoulders and folded into a shallow V-neck in both the front and the back of the dress. Not so simple was the gorgeous Greville Emerald Kokoshnik Tiara, which was on loan from the bride’s grandmother. For each royal wedding, the brides have shown their individual style, while keeping it sophisticated and elegant. In 2001, Kate Middleton accented her Alexander McQueen styled bodice with lace sleeves, and Meghan Markle opted for a higher neckline in her Givenchy dress, with all of the detail placed on her veil. Because each royal wedding features a collection of parties, each lady had the opportunity to bring their character out with a quick dress change for the less formal evening celebration. Princess Eugenie opted for a Zac Posen blush gown with full sleeves and high neckline. Meghan Markle stepped out in a formfitting halter neckline Stella McCartney dress. Kate Middleton stuck with designer Alexander McQueen for a more bridal look with sweetheart neckline and matching jacket. For any New Orleans brides looking to mimic the royal style, they are in luck. See the styles inspired by the royals and available at local bridal boutiques.